Download Minions of Mirth for Mac OSX! Your download should start automatically. If the download does not start then right-click the link below to save the 260MB DMG file to your desktop. Welcome to the greatest independent MMORPG ever made! Minions of Mirth: Undead Wars will not install onto your computer until you double-click on the the downloaded DMG file. You will need a valid email address to play on our free servers. That's all, no credit card or personal information is necessary to begin playing! If you have any problems downloading or installing please contact our support team. You may want to take a look at the guide for new players in our hints section, review the extra features available in our upgraded Premium Edition, or see the latest Monster Templates or Potions available in our online store. Be sure to watch our facebook page and twitter feed for announcements of events, specials and in-game surprises. Free from Prairie Games! 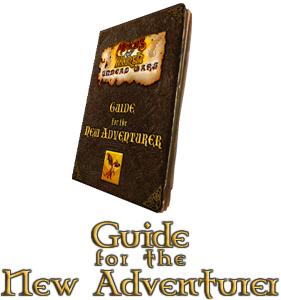 The Guide for the New Adventurer! This free and amusing ebook is an essential download for new Minions of Mirth players. Full of hints, quest walkthoughs and maps... it's 10 pages of high resolution poster-quality art, advice and strategies from the highest rated players of Mirth. Right click on the link to download the PDF file to your desktop. Double-click on the downloaded MomFreeEdition.dmg and follow the instructions. Make sure you have already downloaded and installed the Minions of Mirth Free Edition MAC OSX from the instructions above. Purchase the Minions of Mirth Premium Edition MAC OSX from the Prairie games online store. You will receive an email when your account has been successfully upgraded. Minions of Mirth will then be patched to the Premium Edition. You can follow these steps at any time to reinstall the Minions of Mirth Premium Edition.